Awesome new listing in Arcadia Proper! Offered at $2,895,000. Completely renovated Arcadia masterpiece featuring a sprawling corner lot with unobstructed views of Camelback Mountain, & one of only four large homes on a meticulously maintained cul de sac. The spectacular update offers 5 bedrooms, 5.5 baths plus an additional large office/flex room. Dream kitchen with Thermador professional appliances, soaring ceilings in every room, hardwood flooring throughout, custom cabinetry, and an extremely open and bright floor plan, perfect for entertaining and indoor/outdoor living. Tasteful designer accents throughout, and a master suite beyond compare! 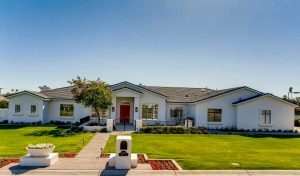 The massive 37,000 SF lot boasts lush, mature landscaping, natural and synthetic grass, sparkling pool, built in BBQ gazebo, batting cage, and sits in one of the best locations in all of Arcadia! Believe it or not, a front door says a lot about you and your home. A quality front door can be a huge asset for your home’s value, and how secure your home feels upon entrance. Kelly Fallis, of Remote Stylist, says, “It’s the first thing a buyer walks through. Repaint or replace; their first impression rests on it.” According to House Logic, a standard 20-gauge steel door can cost around $1,230, but that investment can more than pay for itself with the amount of value it adds to your home. A quality front door replacement can bring you a return of around 102 percent, which makes it a great bang for your buck. Like most technology products, the price ranges vary from cost-effective, to break the bank, so weigh your potential return before proceeding. Having a quality fence can drastically change the look and security of your home and property. Depending on where you live, fences are on average four to nine feet tall and made of quality materials such as wood or stone. While a chain link fence is an option and may be secure, it won’t look as nice or provide the privacy that a wood or stone wall will. The average cost of a wood fence is $2,450, but homeowners can expect to get 100 percent back in updated home value. Replacing old, single-pane windows is a great way to add a level of security, modernize your home and help bring energy costs down. According to Energy Star, you can save from $125-$465 per year on energy bills. While you may not recoup the entire cost of the new windows when you sell your home, many prospective buyers will see value in energy saving additions. New windows are a great way to give new life to your home without a ton of changes, and can help sway a buyer to choose your home. Pressure washing is hands down the best bang for your buck in terms of rejuvenating the exterior look and feel of your home. Many people don’t realize how dirty their driveways and walkways are until they start pressure washing the surfaces and seeing the difference. Bob Vila says, “If the paint is still in good condition, a light pressure wash will brighten it up and welcome visitors.” For the low average price of $236 (maybe more depending on lot and home size), you can have your home and property pressure washed. You also have the ability to rent a machine at almost any home improvement store and turn it into a weekend project for yourself. Camelback Canyon Broker Open 3-19! Have an appetite for real estate? You’re invited to tour 5 tasty homes for sale in the Camelback Canyon Estates! each property, all in the lap of Praying Monk on Camelback Mountain. See attached flyer and hope to see you there! Fannie Mae has unveiled its Collateral Underwriter (CU), a new risk assessment tool designed to help lenders manage appraisal quality. On that date, any appraisal submitted to Fannie Mae through the Uniform Collateral Data Portal (UCDP) will get appraisal risk scores, flags and messages in real time from CU. Buyers and Sellers should be aware that this new process could add some cost to the appraisal, and also has the potential to take longer, possibly delaying some closings if lenders and Real Estate Agents are not prepared for it. 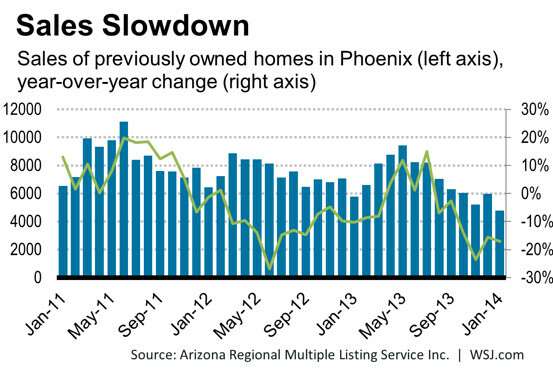 Closing Costs Low in Az! 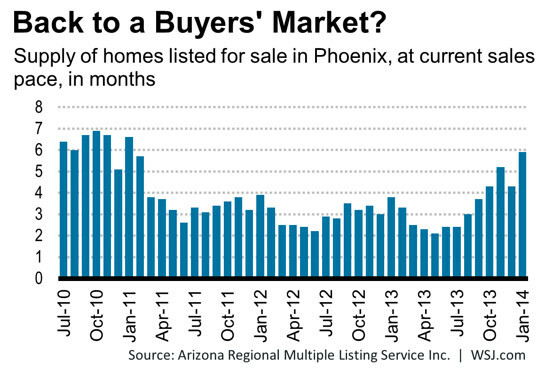 “There’s good news for Arizona home buyers when it comes to mortgage closing costs. Our state has the eighth lowest average closing costs in the nation. However, fees are on the rise. Nationally, average mortgage closing costs have risen 6 percent, according to a new study by Bankrate.com. Arizonans pay an average of $2,425 in closing costs on a $200,000 loan, the study found. The national average is $2,539, which is 6 percent higher than last year’s amount. Texas has the highest average closing costs ($3,046) while Nevada has the cheapest ($2,265). Although the national average has increased in the past year, some lenders haven’t raised their fees, said Holden Lewis, senior mortgage analyst for Bankrate.com, a personal finance website. 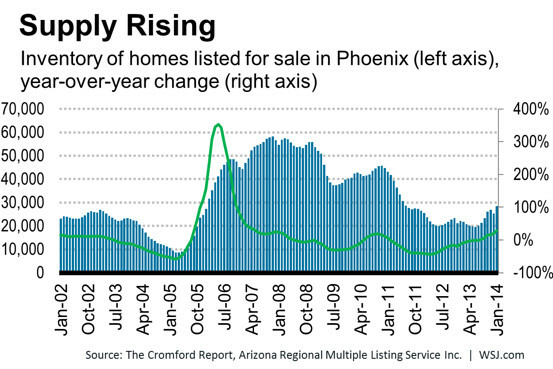 After a remarkable rebound, the Phoenix housing market is cooling down. Home prices in Phoenix posted their first monthly decline since 2011 in December, according to the S&P/Case-Shiller price index released Tuesday. Because it was among the country’s first hardest-hit markets to stabilize, Phoenix has served over the past two years as a bellwether of sorts for much of the Sunbelt that also experienced high levels of foreclosures and severe price declines. If Phoenix cools, that could portend ominously for parts of California, Nevada, and Florida that have shown similar rebounds in recent years. 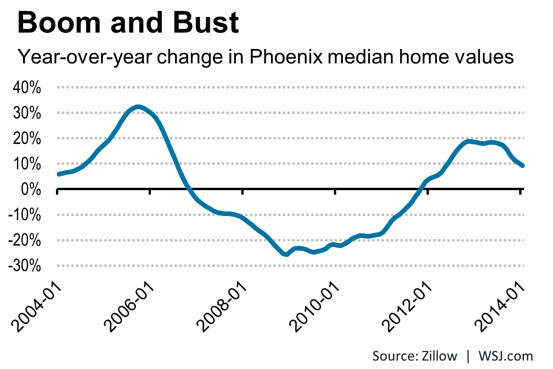 The latest figures show Phoenix is off to a less than promising 2014. The number of homes for sale in January stood 29% above their levels of a year earlier, according to the Arizona Regional Multiple Listing Service Inc. Meanwhile the number of homes sold in January fell 17% from last year, the sixth straight month in which sales have fallen from a year earlier. 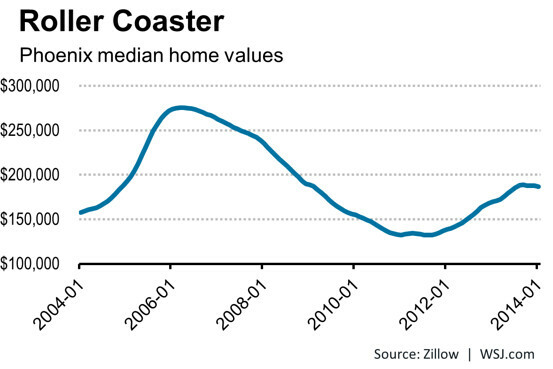 The upshot is that it would take 5.9 months in January to sell the supply of homes for sale at the current pace. While that’s well below the worst levels of last decade’s housing bubble, it’s a three year high, and below the 3.8 months’ supply of a year ago and 3.9 months’ two years ago. “Demand is really getting quite low. Each month it seems to get a little worse than I expect,” said Mike Orr, a real estate director at the W.P. Carey School of Business at Arizona State University. Already, there are signs that the strong price rebound of the past two years has cooled. After 25 straight month-over-month gains, prices have now stayed flat or fallen in each of the last four months. Last year, the problem for builders was that they were running out of homes to sell. “Their biggest problem now is not having enough people coming through the sales offices with good credit,” says Mr. Orr. Data from Zillow Inc. show that home values in January stood 9% above their levels of a year earlier, down from year-over-year gains of 18% reported during much of last year. Prices could turn negative “if the current situation lasts much longer,” says Mr. Orr. Still, there are very few foreclosures waiting in the wings—completed foreclosures were down by more than 50% from a year earlier in December—any price declines “will be much more orderly,” says Mr. Orr. Traditional sellers are much slower to reduce prices than banks. A number of factors are behind the sales slowdown. Rising prices and big declines in foreclosed properties being offered for sale have led investors to lose interest. Investors accounted for just 19% of homes sold in December, according to Mr. Orr, down from a peak of nearly 40% in July 2012. Demand from Canadian buyers has also cooled as the exchange rate becomes much less favorable compared with a few years ago. RP Partners with Reddi Services! Reckling Properties LLC has formed a unique partnership with Reddi Services, a family owned company since 1957 specializing in Plumbing, Drain Cleaning, HVAC, Sewer hydro-jetting & scoping as well as emergency services in those areas. Through shared affiliations, Reddi Services and Reckling Properties will collaborate on an innovative marketing co-op that we hope to be mutually beneficial for both companies. Need service in the areas above? Please mention Reckling Properties for a preferred price list, or contact us for a brochure with a list of prices and services! Give them a ring at 602-910-2451.